The Nordstrom Anniversary Sale is in full swing, and we are still in the "early access" part of the sale. That means that the sale is still only open for Nordstrom credit card holders, and it will open to the public on Friday, July 20th. There are so many great items available as part of the NSALE and I wanted to share some of my favorite items that are priced under $50. Some people have a preconceived idea that everything that Nordstrom sells is expensive, and that is definitely not the case, especially during this sale! 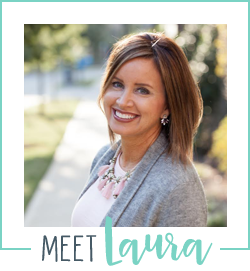 Many of the items I shared in my last post about 12 Must Haves from the sale are under $50, so be sure to read that post as well! There are several cute graphic tees available in the sale, and they are all priced well under $50. This Good Vibes tee was one of the first items I purchased from the Nordstrom Anniversary Sale. It is only $21, super soft and I love all the fun colors. It runs true to size. You can wear this now and as it cools off with a cardigan or jacket. 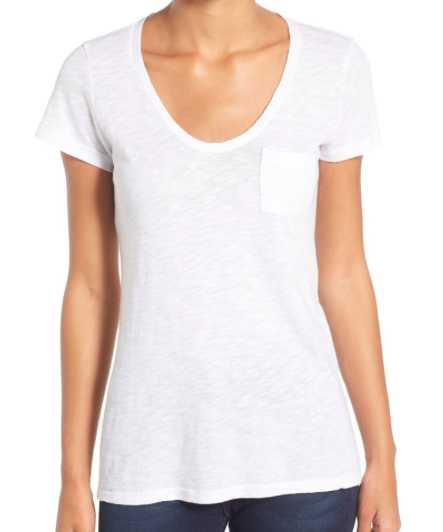 This Tres Chic tee by JCrew is great to wear now and when it gets cooler under a denim jacket. This tee runs small so I recommend sizing up one size. Now is a great time to stock up on PJs to wear both now and as it gets cooler. 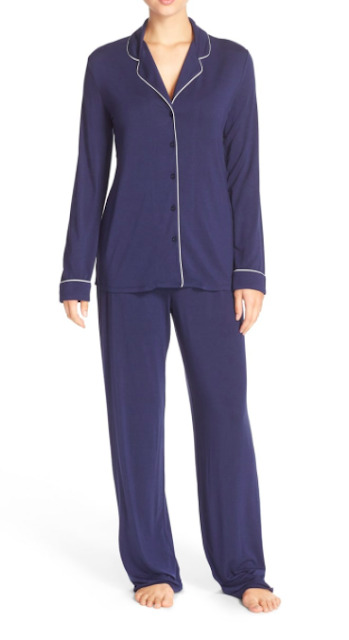 I absolutely LOVE Nordstrom's pajamas as they are soft and don't shrink! There are options with both shorts and pants depending on what you are looking for. I find these to run true to size for PJs. 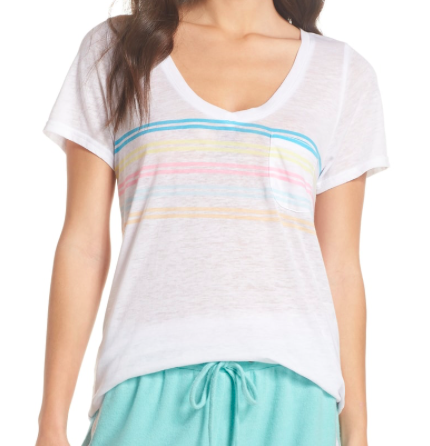 I also really love the Make & Model brand of lounge wear that Nordstrom sells. Their pants are the softest pants I have ever worn! I have a fit review of the top & pants I am sharing below on the "NSale" highlight on my Instagram. I would recommend sizing up in both of these pieces. I think this $39 knit blazer is a hidden gem in this sale! It comes in a bunch of colors and is so versatile. 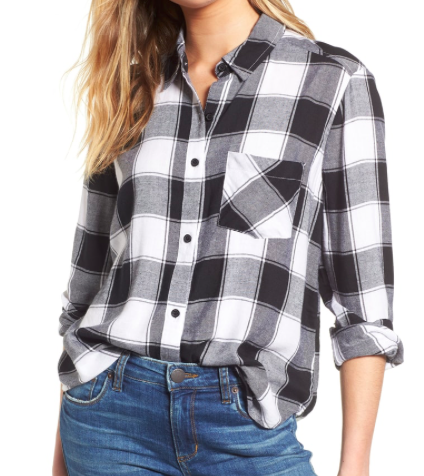 You can wear it over a graphic tee, skinny jeans and booties for a casual look. You can also wear it with dress pants, a silk cami and heels for a day at the office. The blazer runs true to size. There are so many great basic tops that are part of the sale, and many of them are well under $50. If you are looking for a great basic tee, I found a short sleeve and long sleeve option each for under $20. These tees both run true to size. I have this in white and it is NOT see through! There are also some tops that are versatile enough to go with a lot but dressier than a basic tee. 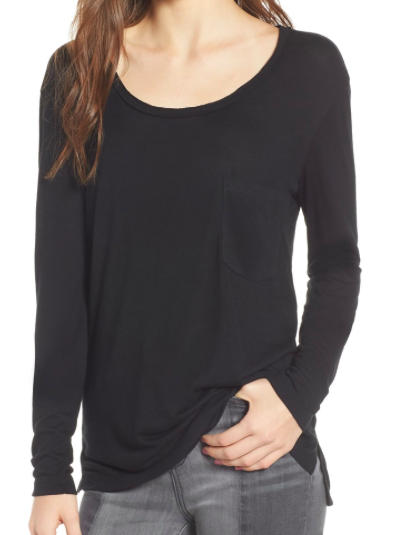 This blouson sleeve top is SO soft! It comes in lots of colors and could be worn with denim, pants or a skirt. It runs true to size to slightly large, so you could size down if in between sizes, but I would generally recommend sticking with your regular size. I like to buy a new plaid shirt each year during the Anniversary Sale. Nordstrom sells one by BP that can be worn so many ways. You can wear it by itself untucked with leggings, or under a blazer or cardigan paired with jeans. You can also layer it over a graphic tee for a fun casual look. This top runs true to size. If you haven't already, be sure to check out my previous post on my 12 Must Haves from the sale, as there are many more items under $50 in that post. If you buy anything from the sale featured on my blog, I would love to know! Please comment on this post or send me an email to let me know. Thanks for following along with Smart Southern Style!